Between the wood grains, granites, and bright color options, you will find no problem complementing your current decor. 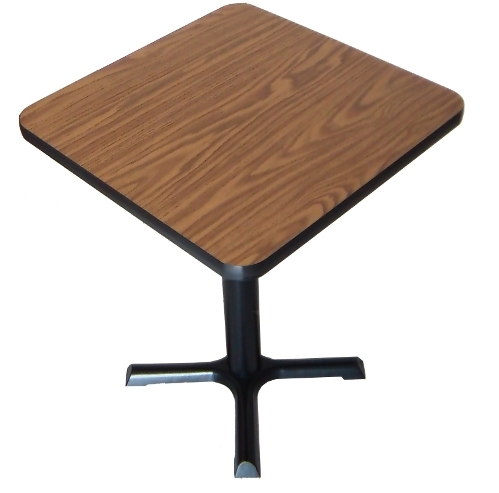 This is a commercial grade table that is often used in restaurant, break room,cafeteria, and many more applications. Table Dimensions 30" x 30"
24"x 29" Height Weight: 50 lbs. 24" x 42" Bar Height 53 lbs.